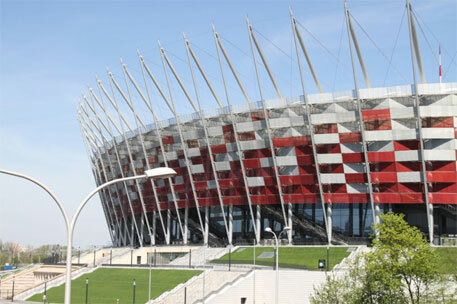 The annual climate talks are all set to begin at the National Stadium at Warsaw in Poland. Although the usual celebrations and gaiety that have accompanied such talks the past few years seem to elude the grey and cold streets of Warsaw, this conference of parties (COP) to the United Nations Framework Convention on Climate Change (UNFCCC) will be crucial to ensure that sufficient technical and political ground is covered in order to meet the ambitious time frame set for a deal in 2015 in Paris. The new, global agreement in Paris will seek to meet the UN goal of limiting global warming to a maximum 2°C over pre-industrial levels. The Polish government is hardly in an enviable position as it presides over the COP; it has to ensure the process delivers the needed outcomes to stay on track for a successful outcome at Paris. The period from COP 15 at Copenhagen up to COP 19 at Warsaw has been a tumultuous period for the UNFCCC, with negotiating countries struggling to deliver on emissions reduction and finance on the needed scale for the world to limit average mean global temperature rise within 2°C. Trust levels, both among the parties and on the process, are at alarmingly low levels and need to be restored. Poland, on the other hand, is an economy heavily dependent on coal, and is being forced to strike a balance between its domestic, regional and international commitments. This finds expression in the large business presence that Poland is ensuring at COP-19, which has already led many to question its intentions and the kind of expectations that can be realised at this COP. In the run up to this year’s COP meeting, two inter-sessional meetings took place in Bonn—one specifically for ADP (Ad-hoc working group on Enhanced Actions under the Durban Platform), the working group charged with designing the elements of a 2015 deal and increasing ambition in the run up to 2020, along with subsidiary bodies for implementation and scientific and technical advice (SBI, SBSTA). The second meeting that took place in June 2013 saw mixed progress being made. The SBI was unable to even adopt its agenda through the two-week meeting, placing several issues, including “loss and damage” on hold. Then, while lengthy discussions and debates took place within ADP, not much of this had any bearing on a COP decision since the format of discussions was still informal. Many parties demanded that the ADP move into more focused and formal discussions at the COP meeting at Warsaw. Loss and damage has been identified as a key outcome for COP 19 (in Doha, it was decided that an institutional mechanism would be created for loss and damage) and special informal consultations are planned to make up for lost time at Bonn. Another key issue at the COP is finance. In the second week, when the high-level discussions start amongst ministers and heads of delegations, there will be a unique ministerial meet which will be attended by finance ministers of nation parties. On one hand discussions on climate finance are at a crucial stage both on the Green Climate Fund and Long-term Finance which have been discussing how 100 billion dollars can be mobilised exclusively for climate change by 2020 and beyond respectively, which make this ministerial relevant. This can be viewed as recognition to the significance that finance holds in climate negotiations at this stage. Expectations are low for the Polish COP, but the Polish presidency needs to see it as an opportunity to ensure that the outcome exceeds expectations by delivering on key issues; for this, it will need to show more political will and creativity in turning things around during COP 19.